Pamphlets need to sum up a lot of information in a small amount of space, so pamphlet designs are extremely important. If you need to create a new pamphlet but aren’t sure where to start, make sure you check out these wonderful pamphlet templates from Lucidpress. You’ll have a versatile set of tools to use to create something that will definitely get people to read what you write. 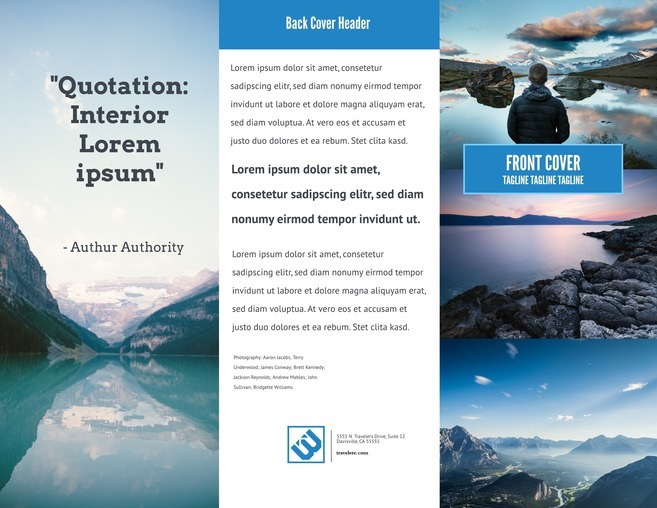 Lucidpress offers a variety of pamphlet templates that you can choose from. The Brisk bi-fold pamphlet template, for example, features a basic layout that works well with company overviews, business introductions and short newsletters. It also looks great in a digital format, so you don’t have to worry about how it appears when reading on a tablet. For a more modern design, you can always go with the Keynote bi-fold pamphlet template. This clean and well-organized layout lets the photos you choose take center stage. One of the strengths to this template is how flexible it is, giving you more options to share your message. The font is inviting and enhances the information you’re sharing. These are just a couple examples of the templates offered by Lucidpress. Don’t feel like you need to follow these templates with exactness—after all, one of the best features of using Lucidpress is the ability to customize the designs. Select your own photos, fonts and colors to create something that’s all your own. The humble pamphlet is the informational, less salesy cousin of the bold and brash brochure. Often used in educational and cultural contexts, pamphlets are a valuable tool for sharing data about a single subject. Our free pamphlet templates are designed to help you inform readers and customers about the subjects most important to them, from health & medical care to travel & tourism. These versatile pamphlet designs can be customized for a variety of cases using our intuitive online editor. Open a template to select fonts, colors, shapes, images and more.